Abhinitha Foundation offers 2 BHK Residential Apartment in Gerugambakkam,Chennai developed with ample infrastructure. Poojaa Foundation offers 3 BHK flat available for sale in Gerugambakkam, Chennai dotted with finest amenities and facilities around. MSB Homes Pvt Ltd presents 2 bhk flats available for sale in Kolapakkam,Chennai designed to enhance your life. A very beautiful 1 bhk home in the upcoming locale of moulivakkam . Residential locality . Very near by ponvidyashramam , Lalaji memorial international school , Srm college , srmc hospital . Easy connectivity to Bangalore high way , Kundrathur , Mangadu , Guindy , arcot road etc . Lot of temples nearby . All amenities and basic facilities around . A very calm and livable place . Night patrolling by police . AC washing machine inverter available . Furnished . Ready to move in . Price negotiable . Photos will be uploaded soon . 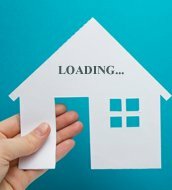 Vinoth Builders presents 2 BHK apartment for sale in Iyyappanthangal developed with ample infrastructure. 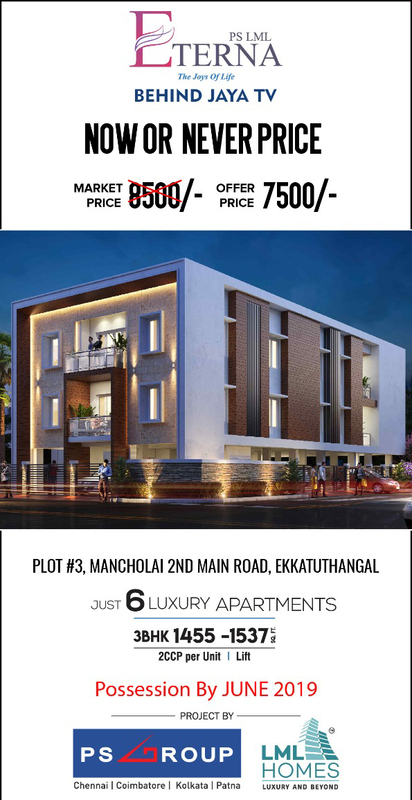 CEE Promoters and Builders offers 2 bhk flats available for sale in Iyappanthangal approached with an eye for detail ensuring that it delivers great value.